To Cite: Kalantar Motamedi M H. National Getaways for the Weary Trauma Surgeon; Part 2: The Northern Provinces, Trauma Mon. 2015 ; 20(1):e25730. doi: 10.5812/traumamon.25730. As we all well know, the trauma surgeon is oftentimes over-stressed because of high workload and numerous professional responsibilities; thus, it is not surprising that he or she unknowingly neglects the much-needed occasional release of physical and mental stress. A buildup of stress is detrimental to health and impairs both manual and mental function. It has been reported that doctors practicing in stressful medical professions are often over-stressed with limited ability to work efficiently (1-3). 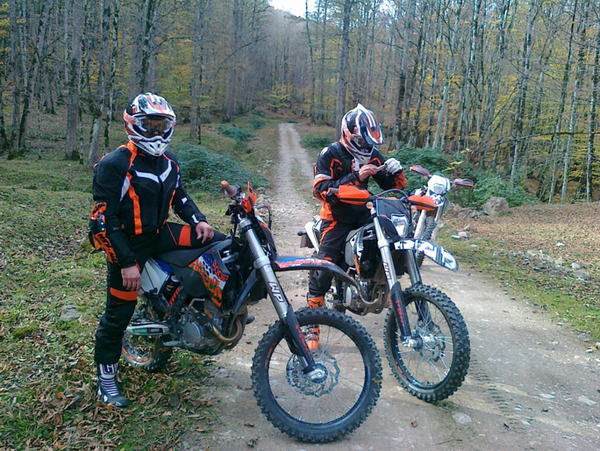 It is therefore imperative that surgeons take time off periodically to get away and release stress. Where can the surgeon go to recuperate? 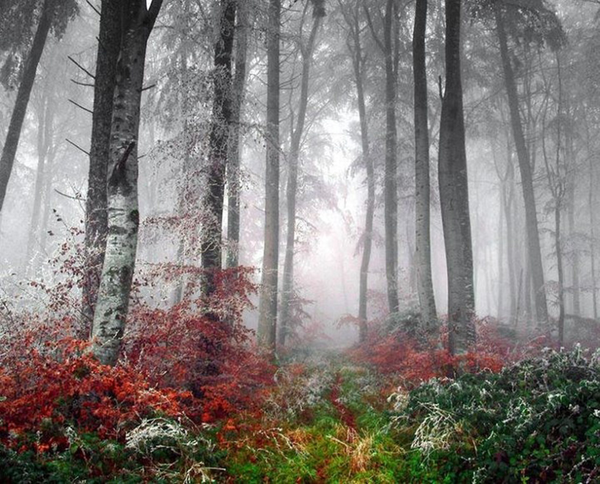 How about back to nature? In this issue, we present part two of a series of editorials wherein we will introduce national resort destinations and attractions for relaxation and recuperation of the weary and over-worked trauma surgeon. 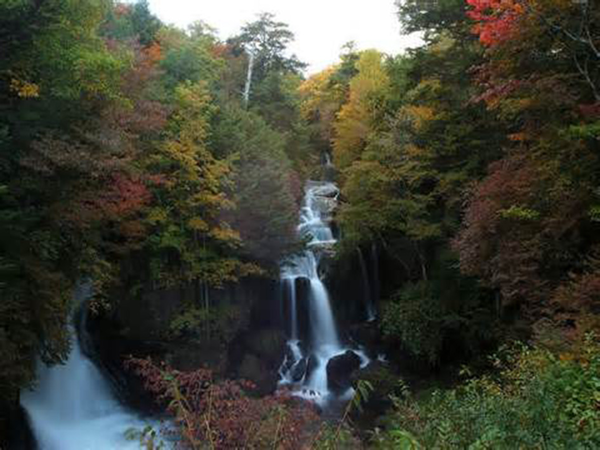 If you love nature, you will love the northern provinces of Iran; northern Iran includes the Southern Caspian regions including the provinces of Gilan, Mazandaran, and Golestan (the ancient kingdom of Hyrcania, historical region of Tabaristan). These provinces are within a 3-6 hour drive from the capital, Tehran. The provinces border the Caspian Sea. 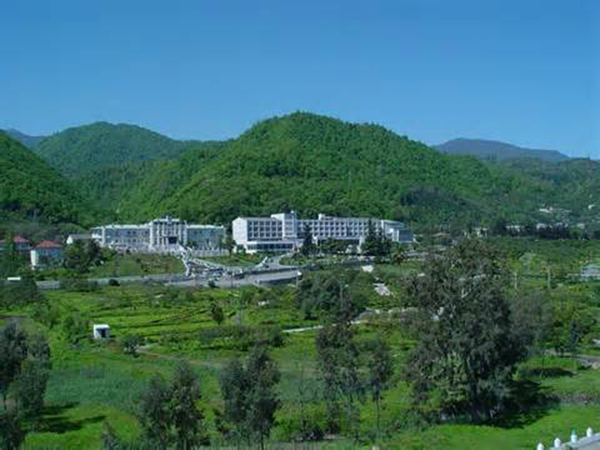 Due to the moderate climate, lush green foliage and dense forestry can be seen near the sea shore. These provinces have three different climate zones. 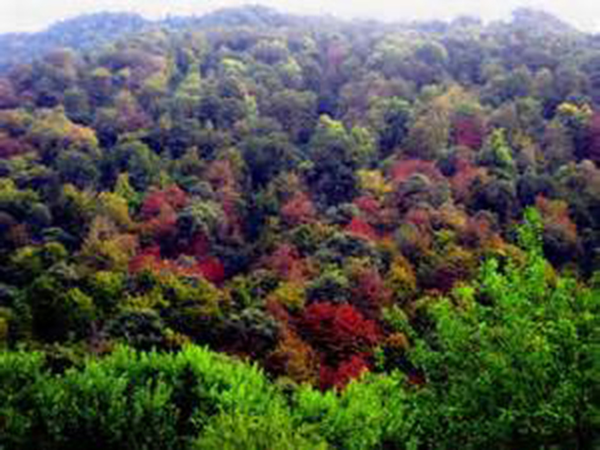 Moderate climate: The moderate climate zone covers the central and western plains of Mazandaran. The average annual rainfall is in the range of 1200 to 1300 millimeters; the amount of rainfall decreases as we proceed to the east. 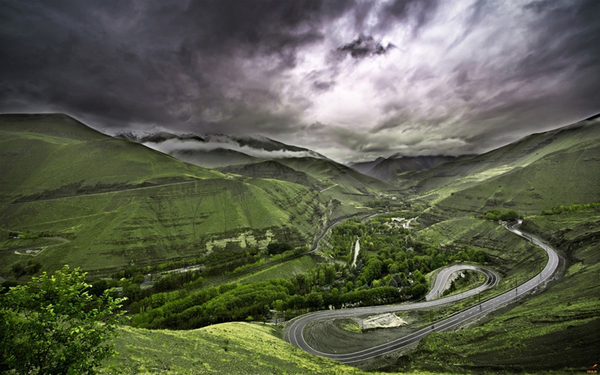 Mountainous climate: The high mountains and northern parts of the Alborz heights have weather that is cold with most of the precipitation in the form of snow. Semi-arid climate: This climate prevails in some parts of Gorgan valley (north of Gorgan Rud as far as the Turkmenistan border). In this area, the average annual rainfall stands at 500 millimeters (4). 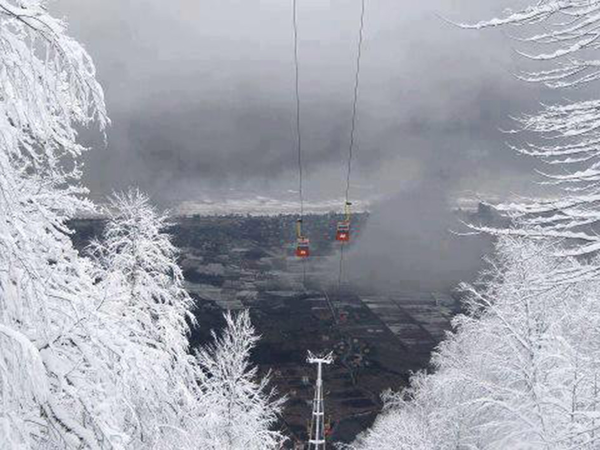 Northern Iran is a trendy spot, especially amongst foreign tourists. It is a resort destination with numerous attractions and all types of modern recreational facilities as well as natural resources and a tourism infrastructure. 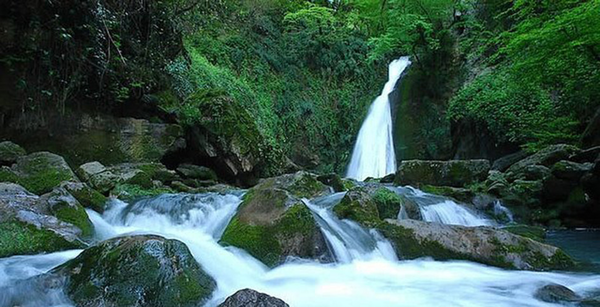 The major provinces, Gilan and Mazandaran, border the Caspian’s impressive shorelines and are covered with dense forests and snow-covered mountain peaks. The major cities are Amol, Bâbol, Anzali, Rasht, Câlus (also Chalous) and Sâri. 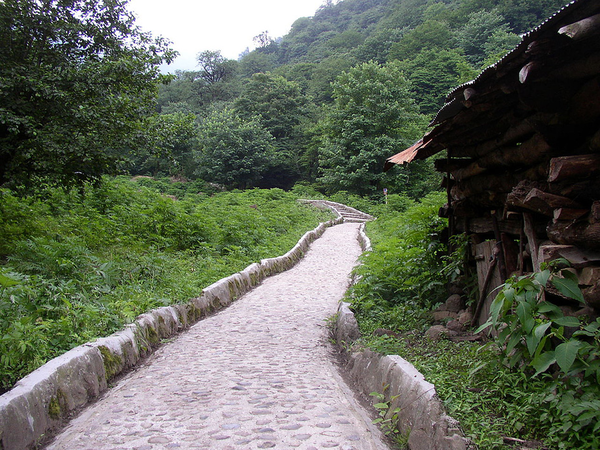 Northern Iran has scenic villages, particularly Massulé, which is widely-appreciated by travelers and tourists. 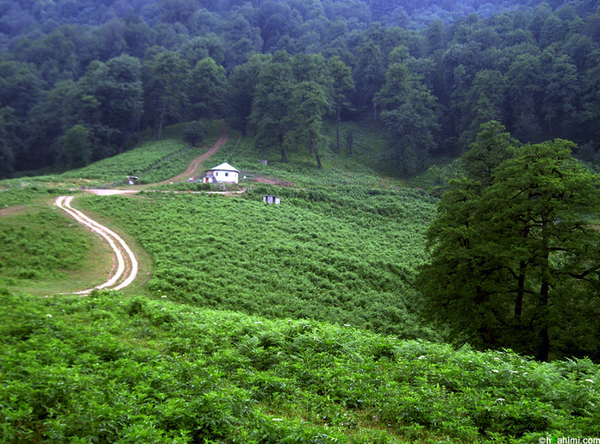 Back to nature: The Gilan and Mazandaran, provinces have beautiful dense forests and national parks that are ideal for camping, hiking and biking; the beauty and solitude is euphoric (Figures 1-4). 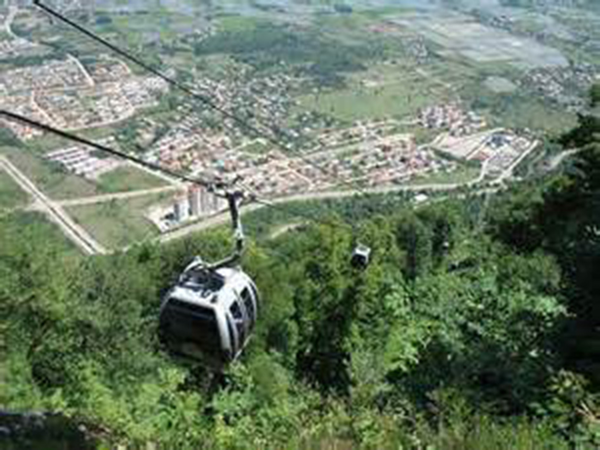 The tourist city of Namak Abroud near Chalous has cable cars that ascend a near vertical peak; A restaurant, coffee shop and a nook with mounted binoculars are available at the summit. The summit is so high that the neighboring cities many kilometers away may actually be seen from that height (Figures 5-7). Natural lakes like the Valasht lake is a beautiful natural reserve; it is an ideal place to hike, camp-out or trail-ride. 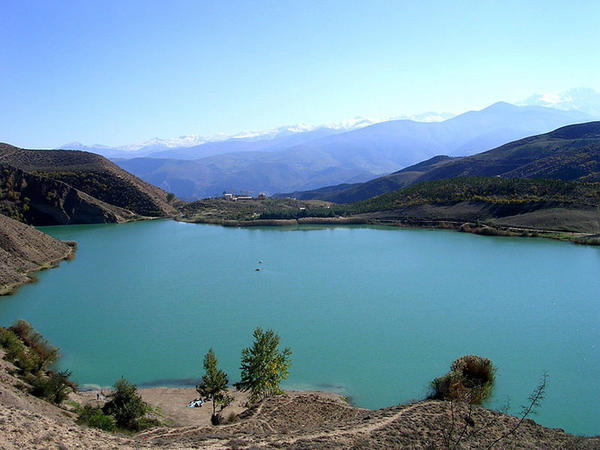 Valasht lake is located just after Marzan Abad about 10 km from Kelardasht. The lake is crystal clear and perfect for rowing and fishing. The solitude is great for relaxation and meditation clearing the mind (Figure 8). There are many routes to the northern provinces. The most scenic, without a doubt, is the road to the northern city of Chalous known as the Chalous Road. 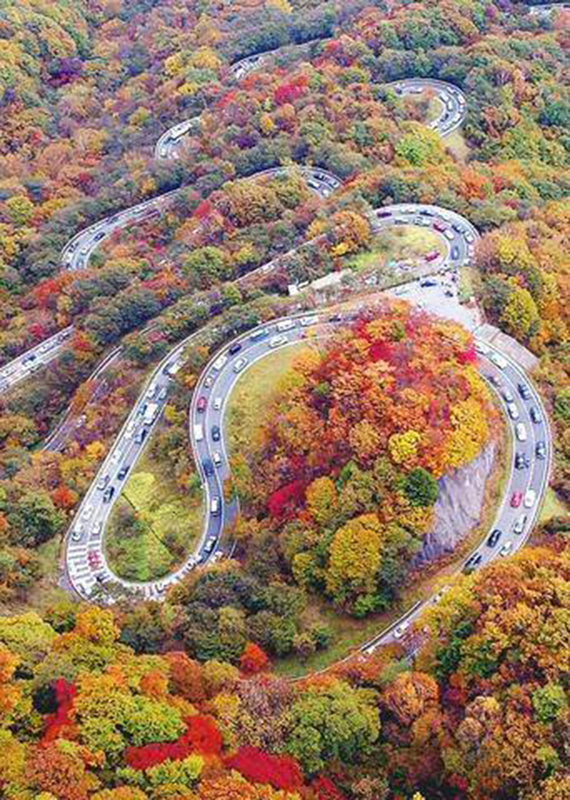 This road winds through the mountains and is indeed a joy to drive on and the scenery is absolutely breath-taking (Figures 9-10). 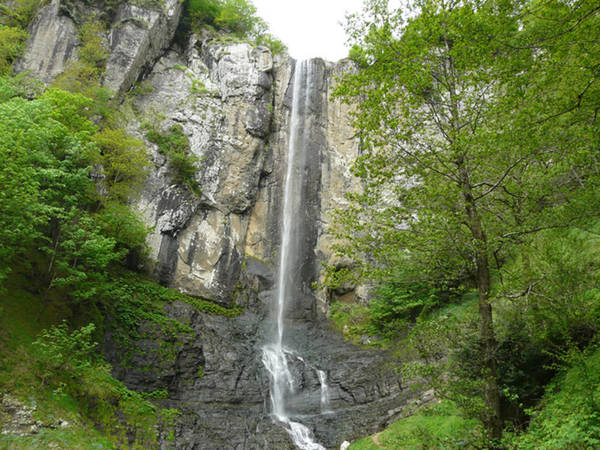 There are many delightful waterfalls and refreshing natural springs to enjoy throughout the northern provinces; the sound is music to the ears (Figures 11-13). The Caspian Sea is the largest enclosed inland body of water on Earth by area; it is the world's largest lake or a full-fledged sea. The sea has a surface area of 371,000 km2 (143,200 sq mi) and a volume of 78,200 km3 (18,800 cu mi). It is has no outflows and is bounded to the northeast by Kazakhstan, to the northwest by Russia, to the west by Azerbaijan, to the south by Iran, and to the southeast by Turkmenistan (5). The Caspian Sea has a shoreline bordering the northern provinces. Besides swimming, water-skiing, jet-skiing, boating and wind-surfing are among the popular and more attractive water sports in this region. 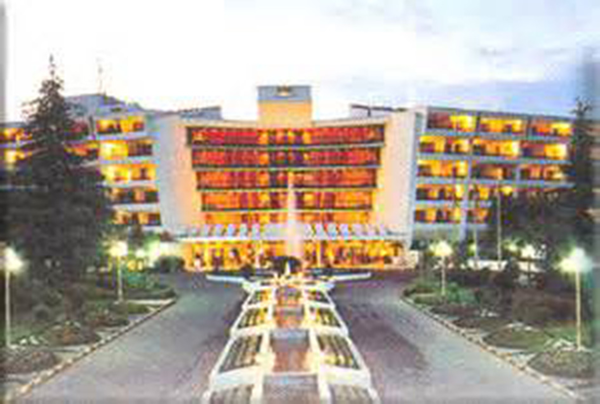 There are many resort hotels; some of the most popular are the Azadi Hotel in Chalous, the Ramsar Hotel in Ramsar and the Aryan Hotel Apartment in the city of Noor. The latter brings freshly baked Iranian bread, still hot from the oven, directly to your door with breakfast (Figures 14-16). Figure 16. 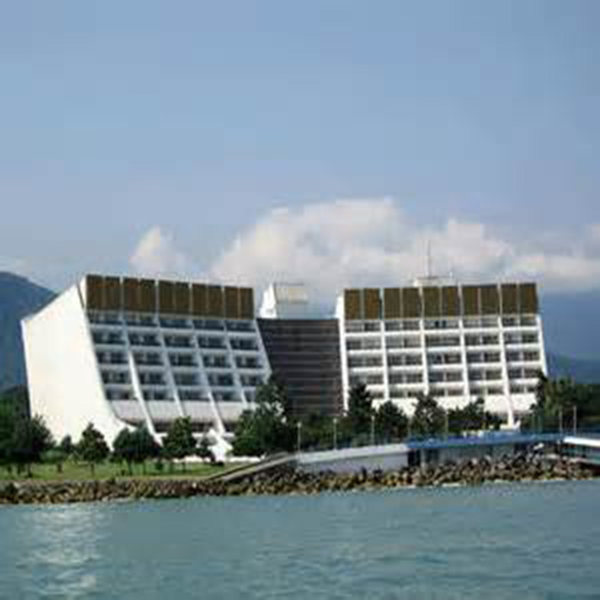 Ramsar Hotel Resort Nestled in the Mazandaran Mountains. The northern provinces also have fine museums, parks, restaurants, and striking architectural landmarks and monuments (Figure 17). 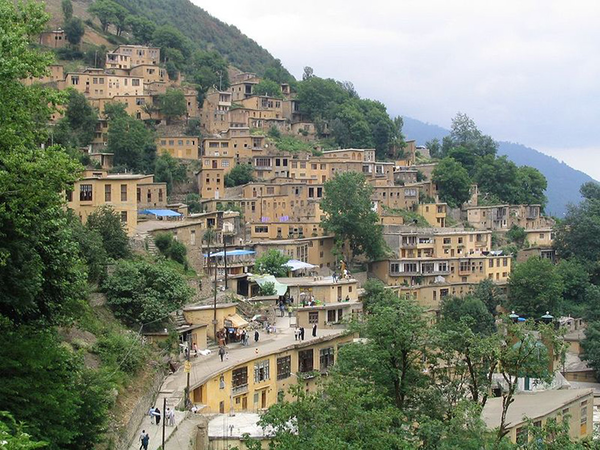 The city of Masuleh has a unique architecture and is surrounded by forests from valleys to peaks. 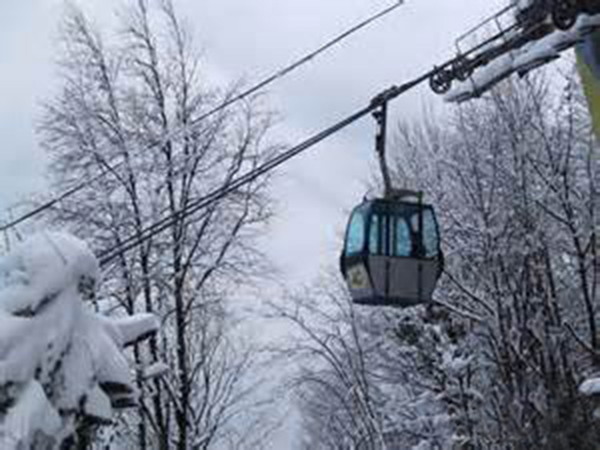 Masuleh is a city in the Sardar-e Jangal District of Fuman County, Gilan, Iran. 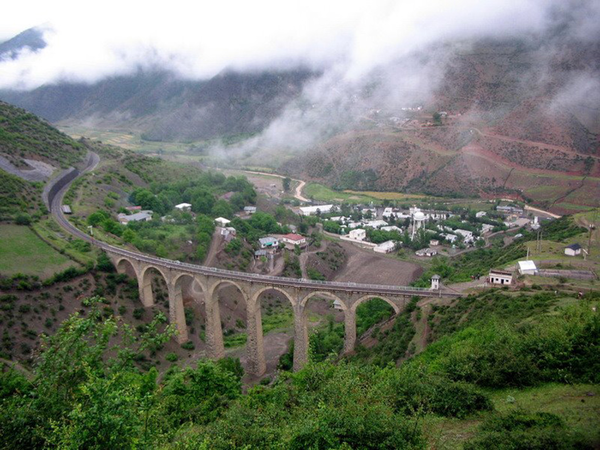 Masuleh is approximately 60 km southwest of Rasht and 32 km west of Fuman (Figure 18). 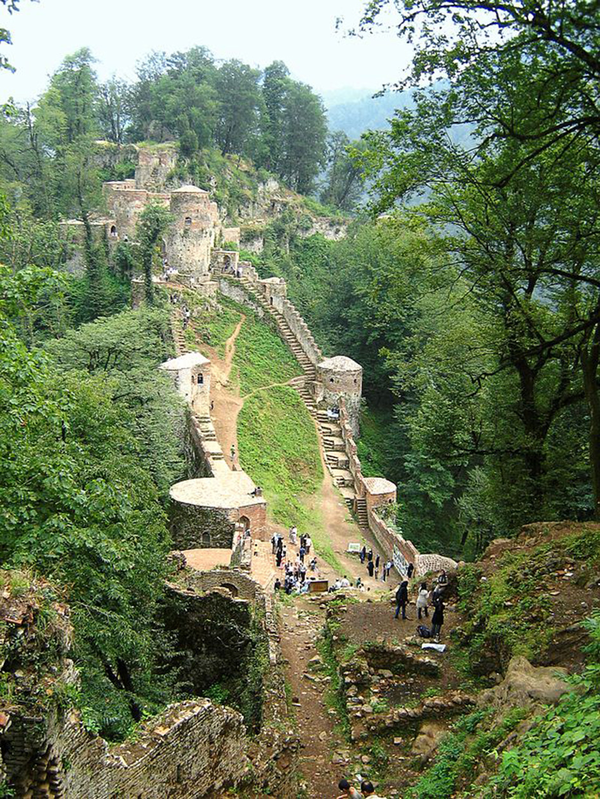 Rudkhan Castle is a medieval brick and stone structure in Fuman, Iran. 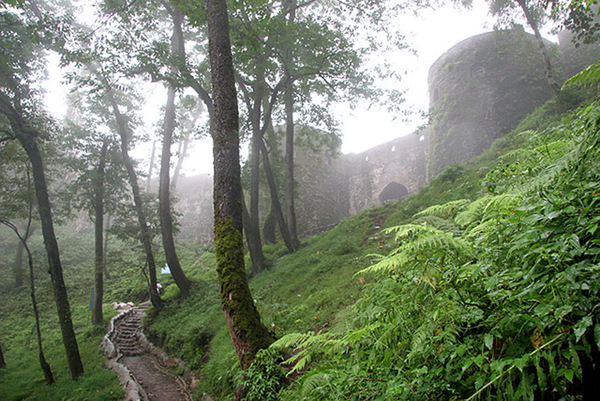 The castle is located on a mountain 25 km southwest of Fuman city in the Gilan province of northern Iran. It used to be a military fortress, which had been constructed during the Seljuk Dynasty by followers of the Ismaili sect. The castle covers an area of 2.6 hectares (6.4 acres). Its architects used the natural mountainous features to their benefit in the construction of the fort. The Rudkhan Castle River originates from the surrounding mountainous heights and flows from the south to the north. After crossing a mountainous winding trail in dense forests, the first thing that is noticed about the castle is its entrance gate. Rudkhan Castle sits between two peaks of a mountain at elevations of 715 and 670 m and contains strong fortifications and battlements spanning a length of 1,550 m. The castle's 42 towers still stand intact (Figure 19-21). These popular attractions and more make the northern provinces the editor’s second choice destination for a recuperating vacation.